Strengthen a community by serving its people and its environment. Mentor schoolchildren with summertime reading instruction. Harvest produce for a local food bank at a community-supported farm. Partner with a local non-profit to engage with the community. On the weekend, hike, raft and explore the Berkshires. Service can be simple, powerful and fun. Imagine helping teach a six-year-old to read. That’s simple. And powerful. When you see these young students, when you feel their energy, when you get caught up in their enthusiasm, well, that’s a ton of fun, too. Our Reading & Recreation summer camp is free to local schoolchildren, is led by a reading specialist and gives you the chance to make a powerful difference in a child’s life. Picture yourself in a lush green field, patiently harvesting organic vegetables for a local food bank. Simple (can you pick beans?). Powerful (fresh food at a food bank!). Fun (outside, with your Overland leaders and your fellow group members—chatting, laughing and telling stories). For a fun change of pace, we’ll also get the chance to hike, raft and camp in the Berkshires. A way to enjoy the natural beauty around us, a time to enjoy our group. Service can be a gift. A gift to those you serve, a gift to yourself. Spending two weeks in the summer in a beautiful place with like-minded peers and two terrific Overland leaders is an ideal way to look beyond yourself and to give to others. And in the process to get so much in return. 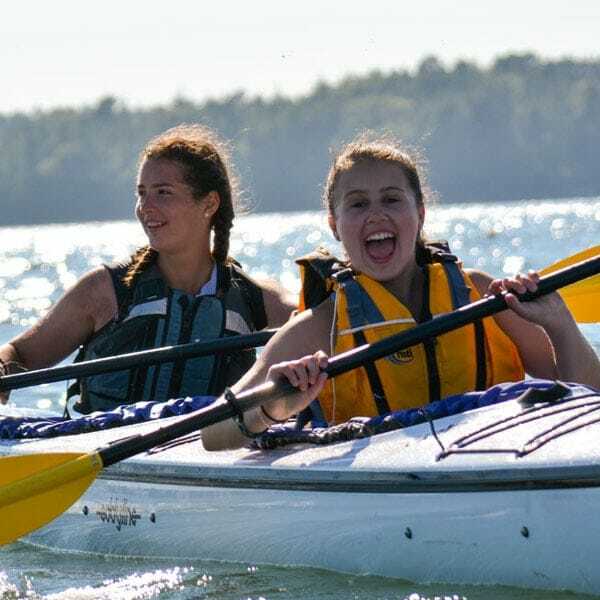 This was Ella's first ‘sleepaway’ camp experience, and her leaders did a great job of creating a home away from home experience. The service work was meaningful, and outdoor activities were well planned. Service, adventure, and friendship in the beautiful Berkshires of Massachusetts. Once everyone has arrived, we’ll go for a short hike, settle into our dorm rooms and start preparing for two weeks of service in the Berkshires. In the evening, we will meet with a local elementary school teacher who will talk to us about our upcoming volunteer project—the Reading & Recreation Summer Program for elementary school students. We’ll dive into our first day of community service work, running Overland’s Reading & Recreation Summer Program. This program offers local first, second and third graders the opportunity to receive one-on-one reading instruction, attention and care from Overland’s staff of professional teachers, leaders and student volunteers. Our goal is to improve reading skills and boost self-confidence in a fun, supportive setting. We’ll be paired with the same reading buddies for the duration of the program, and each morning we’ll walk to the local elementary school to meet up with them. Over the next two weeks, we’ll learn and play with our buddies, serving as a reading tutor, counselor, role model and friend. In the afternoons, we’ll devote half of our time to a community-sponsored farm dedicated to organic crop production. In addition to producing year-round fruits and vegetables for 175 local families, the farm also provides food for a local organization that serves free lunches in the nearby town of North Adams. We’ll volunteer on the farm, learning about sustainable agriculture as we contribute to this important community effort. Other afternoons we will volunteer at a food pantry, where we’ll help stock food and deliver meals for those in need. We will go on short, local hikes and swim in nearby swimming holes. We’ll spend our weekend outdoors hiking Mount Greylock, the highest mountain in Massachusetts, and camping at a nearby state forest. We’ll raft the Dryway, an exciting section of the Deerfield River, with professional guides. Our time outside will give us a chance to grow in and explore the beautiful Berkshire mountains. Returning for our final week of Reading & Recreation, we’ll spend each morning working with our reading buddies and helping them improve their reading skills. On Thursday, we’ll celebrate with a trip to a local swimming hole, a cookout and an awards ceremony for the students. In the afternoons, we’ll partner with local non-profits and devote our time to preserving the land and community. We’ll spend several hours outdoors each afternoon working to improve the natural environment through tasks like invasive plant removal, trail work and land management. As a group, we’ll enjoy a final dinner and celebrate two weeks of service, accomplishment and friendship before saying our goodbyes. 10 nights in a dormitory on the Williams College campus. 2 nights of frontcountry camping with access to flush toilets and showers. 3,000-5,000 cubic inch (50-80 liters) duffel bag or backpack. Suitable for day hikes, travel or walks through towns and cities. Durable and suitable for trail work. Students sometimes prefer to sleep in shorts and a T-shirt instead of pajamas. Any type of sleeping bag is acceptable. Comfortable shoes with good traction. One to two sets of linens. A pillow, mattress pad and blanket are provided. Be sure to bring comfortable clothes that can get dirty and worn while volunteering. What is the weather like on Service & Hiking New England? What are the arrival and departure airports for my child’s trip? Your child will fly to and from Albany International Airport (ALB). We will provide more specific travel information once we have placed your child on a trip. If your child is not flying to the start of the trip, he or she should be dropped off and picked up in Williamstown, Massachusetts. Volunteer in local communities and hike, raft and explore the Berkshires. On Service & Hiking New England, you should be prepared for short afternoon hikes and a full-day hike to the summit of Mount Greylock, the highest peak in the state of Massachusetts (3,491 feet). For the Mount Greylock hike, you will hike on a well-established trails through the forest. The terrain can be challenging, steep and rocky, but you will take plenty of breaks as a group throughout the hike. In the month before your trip, you should break-in your hiking boots (wear them a lot!) and complete the pre-trip training (see below). Once on your trip, you'll find that enthusiasm and a positive attitude will help to make the trip a success for you... and for everyone in your group. 2 weeks before your trip: take three 90-minute hikes or walks in your boots. 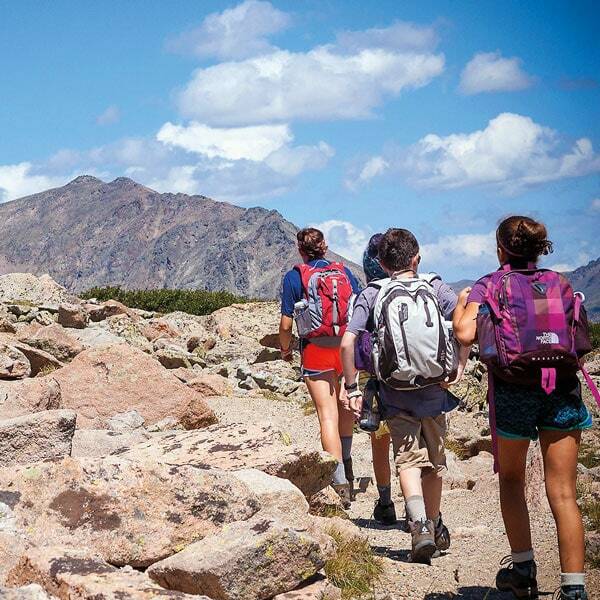 1 week before your trip: take three 2-hour hikes or walks in your boots. Trips involving service work require a positive attitude and willingness to work hard as a volunteer. You should arrive eager to participate in a variety of service projects. In the mornings, you will mentor students in the Reading & Recreation Program. In the afternoons, you will work at a local food pantry or help out at a sustainable farm. The projects your group work on will depend upon the availability of service opportunities and the needs of the local community.